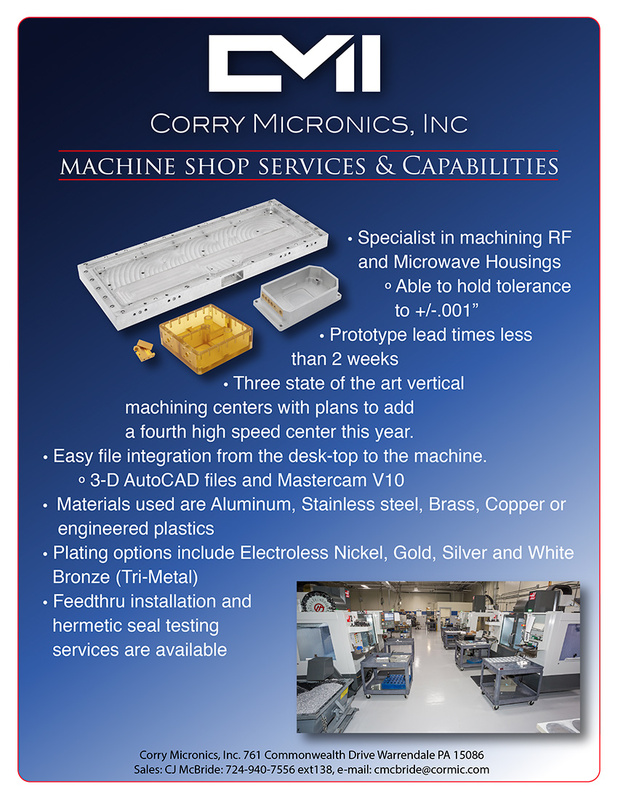 Corry Micronics is your specialist in custom machined RF and Microwave housings, and we’re able to provide you with the fastest turn-around times in the industry. Prototypes in less than 2 weeks. Large and small production runs – your desktop to our CNC machines almost instantly! We’ll machine your housings to your specs to within tolerances of ∓001”. And if your machined housing project calls for feedthrus, just let us know the requirements. We’ll even conduct hermetic seal testing. Talk With Our Experts Today! Contact us and experience the Corry Micronics level of excellence!